Birth date / Date of Birth / Birthday / Age 9th April. Wedding / Family / Marriage / Husband Her Husband Name / Married to Devendra Fadnavis, the 18th Chief Minister of Maharashtra. They have a young daughter named Divija Fadnavis. Other Info Caste / Height Her height is around 5 feet 3 inches. Contact Address Office / Home : Varsha, Malabar Hill, Mumbai. 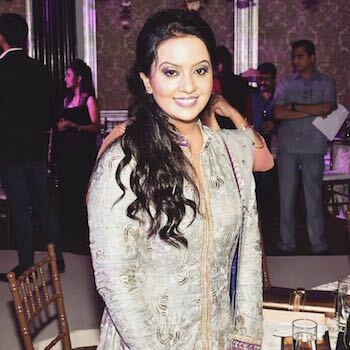 The first lady of Maharashtra, Amruta Fadnavis was born as Amruta Ranade. 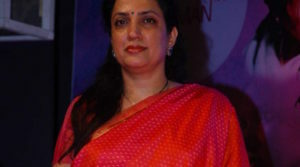 She married current CM of Maharashtra, Devendra Fadanvis in 2005, after an arranged marriage proposal. She used to call him Sir before Marriage. Despite her strong political family, she prefers simple down-to-earth living along with modern thinking. She is known to be tech-savvy and also runs her own Facebook page. 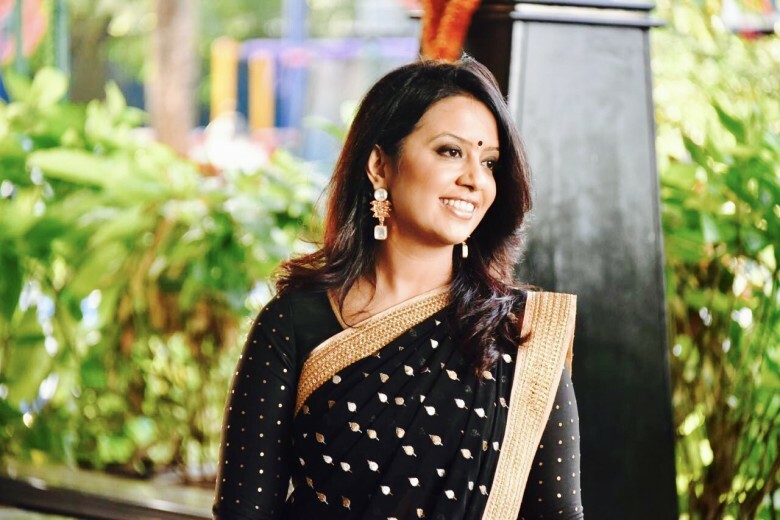 Professionally, Amruta Fadnavis is an associate vice-president with Axis Bank and used to head the business branch in Nagpur. After her husband became a CM, she shifted to the corporate office in Worli in Jan 2015. During the Maharashtra assembly elections in 2014, she addressed over 100 meetings in Nagpur to campaign for her husband. 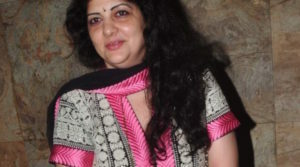 She is also known to have a good voice and sang a few old Hindi songs in some of her interviews. An emotionally appealing song for saving the girl child was released on Youtube, which had her as the singer. Dear amruta u r just like my daughter but u r not; daughter takes place only ones in a father’s life oñly ones for lifetime and u & my onĺy daughter is only one.so keep go in enjoing lifetime girle achivment award. Under Happy Villege concept Inner wheel Club of Bombay Airport President Priti Doshi with her team has constructed Balwadi,Community Centre,Vocational Centre,Class rooms,Toilet Blocks,Staff room ,Water Harvesting and 12 Solar Street Lites and 50 smokeless chuhlas for the villagers. Invite Mrs Amruta Fadnavis as Chief Guest, Edu Minister of Starte,Dist Chairman Falguni Mehta of Dist 314 and the media.